Fort Washington is located along the Potomac River in Prince Georges County. It runs from the Capital Beltway south to the historic fort for which it is named. Popular Fort Washington neighborhoods include Silesia / Broadwater Estates, Oaklawn, Brooke Manor, Town Center, Friendly Farms, Fort Foote Village, Palmer’s Corner, and Chapel Hill. A large majority of the homes in Fort Washington are Colonials, with some ramblers and split levels. There is a fair amount of new construction in the area as well. While Fort Washington’s real estate consists primarily of detached homes, it does offer some townhomes and condos as well. Today, Fort Washington is home to Fort Washington Medical Center and the National Harbor. Visit Fort Washington’s “Best Kept Secret,” Proud Mary, a waterfront restaurant and bar known for fabulous Southern cuisine, seafood, and signature cocktails. The Fort Washington area was largely rural until about 1960 when suburban growth began. Fort Washington continues to grow, adding new, large family homes in small developments next to older existing developments. The original fort of Fort Washington was completed in 1809 and served as the primary defense for the Nation’s Capital until the Civil War. In 1939, the post was abandoned and in 1946, the Department of the Interior took over its management. 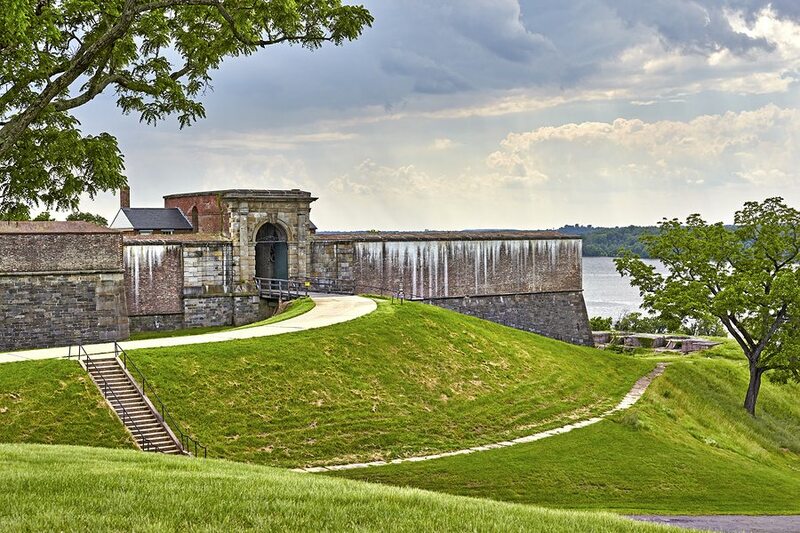 With its views of the Potomac River and hiking paths, Fort Washington is a lovely spot for picnics, fishing, and other outdoor activities. Want to know what it’s like to live in Fort Washington? No problem! Let’s go on a neighborhood orientation tour. Want to Call Fort Washington Home? We Can Help.